The UK’s Natural Environment Research Council (NERC) which funds and carries out environmental science research received £6.7m from Shell and the fossil fuel industry in the last five years – according to a Greenpeace investigation. The investigation suggests money given by Shell could be used to access a wide range of research supporting fossil fuel extraction, including oil extraction from remote regions. Data released after Freedom of Information (FOI) requests found the cash came from oil giants Shell, BP, Exxon, Total and Statoil and mining giants BHP Billiton, Glencore and Rio Tinto. Greenpeace has previously revealed fossil fuel companies gave more than £80m to just four UK universities in the last five years. 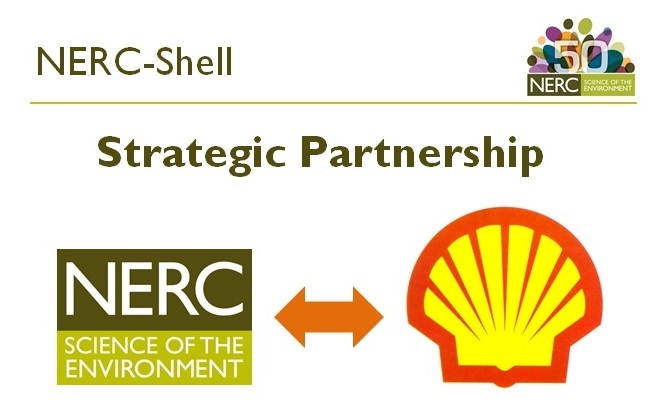 The research council figures shed further light on the Memorandum of Understanding Shell signed with NERC last year. Few details of the MoU were ever made public but the investigation found that Shell was has also given funding worth £2.8m. In the agreement Shell claimed it wanted to access “knowledge and expertise” drawn from NERC’s £330m research portfolio. In a powerpoint presentation for Shell seen by Greenpeace, representatives of the UK’s flagship research council appeared to suggest Shell could benefit from its high-cost polar work. The investigation also revealed a partnership between Shell and Engineering and Physical Sciences Research Council (EPSRC) designed to identify ‘synergies’ between the work of the two organisations. The EPSRC gave more than £70m to University-led projects which partnered with the oil giant in recent years. Funds from Shell have gone to fund each of NERC’s research centres: the British Antarctic Survey; British Geological Survey; Centre for Ecology and Hydrology, and National Oceanography Centre, according to information provided under FOI. Following the MoU in June 2015 NERC representatives travelled to Shell’s offices in the Netherlands to feed back on the council’s progress. At the meeting representatives from NERC went on to describe the council’s expertise in sub-surface research, mentioning the “potential for development and translation/use of existing [NERC] techniques for better understanding of oil fields and reserves”. The presentation went on to highlight the council’s polar exploration and baseline monitoring capabilities as potentially of interest to the oil giant. Greenpeace has also found that since the signing of the MoU, Shell’s strong links with NERC have provided platforms for the company to interact with other academic establishments. In May 2015 NERC held a workshop dedicated to exploring how to extract more oil from mature basins off Scotland. At the event politicians and academics spoke alongside oil company giants and industry lobby groups, including Chevron and Oil and Gas UK. Representatives from Shell and Statoil also attended. Within the sessions attendees were asked to consider ways academic research output could be applied to allow the extraction of more oil from the basins. Shell has also signed an MoU with another of the major scientific research councils: the Engineering and Physical Sciences Research Council (EPSRC). Dr Lionel Clarke from Shell Global Solutions sits on the EPSRC’s Engineering strategic advisory team, which advises the council on research and training strategy. In March this year the Department of Business, Skills and Innovation tasked Sir Paul Nurse with reviewing the way research councils operate across the UK. In a public consultation, the review asked for opinions on the effectiveness of the Research Councils’ interactions with each other and with external organisations, and asked about the gaps or holes in the funded portfolios of the research councils. The results of the Nurse Review were due in summer but has not yet concluded and is expected at the end of the year. A spokesperson for NERC told Greenpeace: “NERC’s role is to deliver independent, world-class environmental research, training and innovation that informs responsible decision-making by the government and business, and creates a more informed public. Providing independent information is an asset when undertaking new ventures, and we work across many sectors to help businesses get the information they need. Correction: Shell is not NERC’s biggest donor as was suggested, though it did give the most amount of money of any energy companies explored.